A Windows Phone 7 Series handset being demonstrated at Mobile World Congress in Barcelona. The company also will have its Windows Phone 7 Marketplace, featuring applications to run on the phone, ready within weeks, &nbsp;said the official, Matt Thompson, Microsoft general manager of developer and platform evangelism. Developers will be able to submit their applications for certification at that time, a company representative said. "Everybody's got an opinion on whether Microsoft can play in this space," which has been dominated by Google's Android and Apple's iPhone in the past year, Thompson said at the Mobilize 2010 conference in San Francisco. "So what gets us back in the game? We think it's Windows Phone 7. In fact, we know it's Windows Phone 7, and we've had an amazing uptake by developers on this," said Thompson. The first Windows Phone 7 units are due to ship around the Christmas holidays. Thompson boasted of a great reception for the phone during a recent Silicon Valley developer event with 500 developers. "We had people willing to trade in their iPhone at that moment if they could take the Windows phone home with them, and we weren't allowing them to do that on that day," Thompson said. &nbsp;Microsoft has been engaging several thousand developers in the last few months about the phone, he said. With its new phone platform, Microsoft is focused on several areas: business users, start experience, hardware choice, photo capabilities, location-aware search with Bing capabilities, and gaming. Cloud capabilities also will be prominent. "The cloud is what backs up your phone," enabling information access, Thompson said. "We're supporting Silverlight as a first-class citizen on the phone because it provides a rich interface for developing," he said. 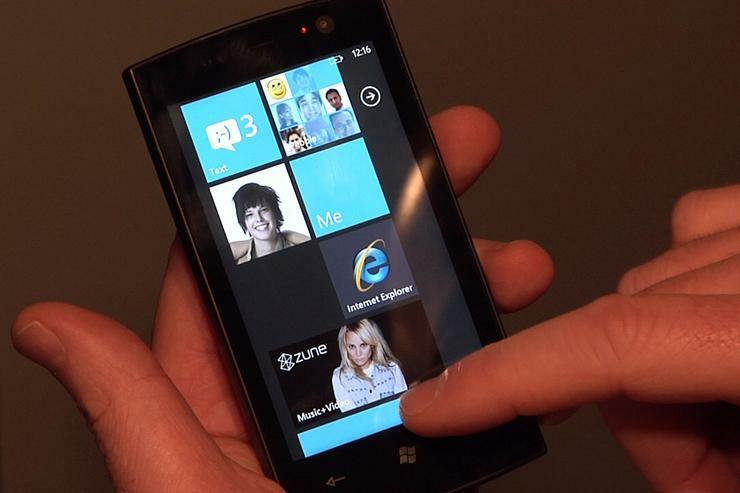 Developers can use the Visual Studio platform to build Windows Phone 7 applications. Emulation capabilities will be offered. "We are actively recruiting more developers today," Thompson said. This article, "Microsoft: Windows Phone 7 will turn us into a mobile contender," was originally published at InfoWorld.com. Follow the latest developments in business technology news and get a digest of the key stories each day in the InfoWorld Daily newsletter.